Molly was missing for more than six hours. A lost puppy amazingly managed to find her own way home after going missing in sub-zero conditions next to a Highland river – as more than 100 residents braved the cold to search for her. 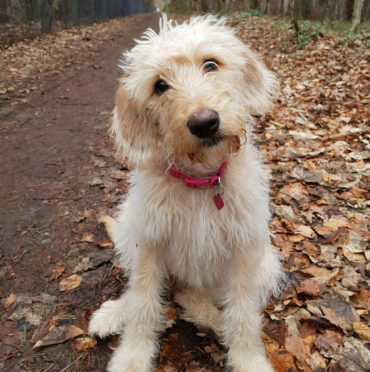 Five month-old Molly, a labradoodle crossbreed, was out on a walk with her owners near the River Nairn before being chased off by a husky dog. Her owner Teresa Cameron, 47, said her beloved “baby” had never run off before and she was understandably concerned for her welfare. She added: “She was out walking with my son Fraser down the river and a big husky chased her off. She is friendly with other dogs and people and just wants to be their friend. “She was missing for six and a half hours. I had no idea where she could have been as she is only little. She has never done that before. After the family raised the alarm on social media on Saturday night, more than 100 people turned up to help search for the puppy alongside volunteers from Nairn Coastguard Search and Rescue. It left Mrs Cameron “humbled” by the caring nature of the local community. She added: “I am absolutely overwhelmed. I know that there were a lot of people but I wasn’t aware how many were out looking for her. “People were out with torches, in their cars, walking, even young children were out searching. It’s just unbelievable. Tom Rennie, station manager at Nairn Coastguard, added: “We had people walking the river with torches, head torches, even the lights from their mobile phones looking for her – both local and some visitors who saw it on Facebook. “And there were people on bikes and cars going round all the streets looking for her. We also had some people turn up with infrared imaging kit. “It just goes to show you that local communities can and do go above and beyond what is required to help each other in times of need.